I’m SO EXCITED to be heading back to my hometown this weekend and back to one of my favourite doodling spots, at Handmade Nottingham. YAY! #repost handmadenotts : Check out our new signage! @workbenchshop created us a custom sign that fits around our frontage. Definitely recommend them if you are looking for custom builds! I’ll be painting portraits for the lovely folk of Nottingham as part of the 3 day Bank Holiday pop up event Rhea is running. I will be there 12 - 5pm on Saturday and two other wonderful creatives will be ‘popping up’ on Sunday and Monday. Head over to the HMN event page on Facebook to find out what Sap Plants will be up to on Saturday and what the Bead Bench has in store for Monday! You’re in for a treat, that’s for sure! Ooh I did a poem! 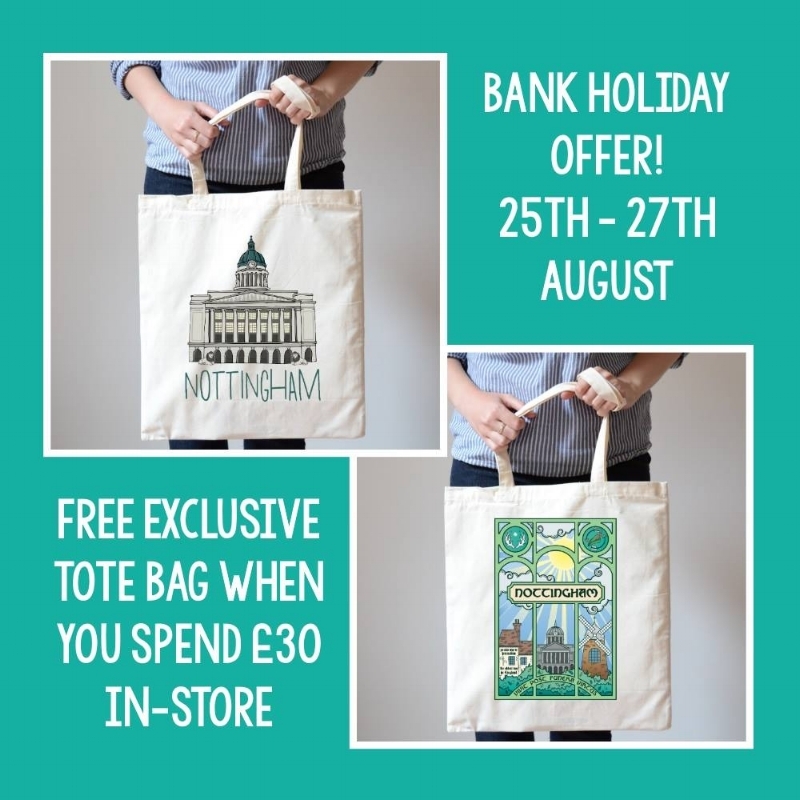 If you’re quick, you might even be able to nab yourself one of TWO AWESOME exclusive Nottingham tote bags too - designed by yours truly and the bloody amazing Fable & Black. #repost handmadenotts : @sunshine_jo and @fableandblack have created these tote bag designs just for us! …and if that wasn’t enough to wet your whistle (oo-er), from tomorrow you'll also be able to get your paws on one of these super cute Left Lions pins, also exclusive to HMN and just £5 ALL WEEKEND!